Andrew Lownie Literary Agency :: Book :: The Berlin-Baghdad Express: The Ottoman Empire and Germany’s Bid for World Power, 1898-1918. 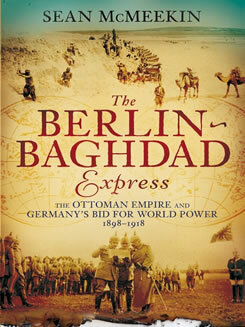 The Berlin-Baghdad Express: The Ottoman Empire and Germany’s Bid for World Power, 1898-1918. The Berlin-Baghdad Express explores one of the big, previously unresearched subjects of the First World War: the German bid for world power - and the destruction of the British Empire - through the harnessing of the Ottoman Empire. McMeekin's book shows how incredibly high the stakes were in the Middle East - with the Germans in the tantalizing position of taking over the core of the British Empire via the extraordinary railway that would link Central Europe and the Persian Gulf. Germany sought the Ottoman Empire as an ally to create jihad against the British - whose Empire at the time was the largest Islamic power in the world. The Berlin-Baghdad Express is a fascinating account of western interference in the Middle East and its lamentable results. It explains and brings to life a massive area of fighting, which in most other accounts is restricted to the disaster at Gallipoli and the British invasions of Iraq and Palestine. "Sean McMeekin has written a classic of First World War history... superb and original." "A seminal work that demonstrates for the first time that Imperial Germany's jihad strategy in World War I-- exploiting pan-Islamism in the Middle East to stoke the fire of native Muslim revolts against the British and against Russia-- played a crucial role in German plans to win the war. Now students of the 'Great War' will no longer be able to dismiss the German 'holy war' strategy as merely peripheral. There is much to be learned in this superb work about the recent past and today in the Middle East." "In this excellent, well-researched, and fascinating book, Sean McMeekin has given us a welcome and stimulating perspective on a highly important but neglected aspect of the First World War... A tale of high adventure, ambition and political chicanery with a cast of colourful, brave and sometimes ruthless characters." "An exciting new book by a talented young historian, Sean McMeekin, who is one of the few to have penetrated the notoriously difficult Ottoman archives, despite the crucial importance of Turkey in the First World War." "McMeekin has written a powerful, overdue book that for many will open up a whole new side to the first world war, while forcing us to be less reticent in confronting indelicate matters, such as the origins of Nazi-Islamist links." "McMeekin's learned story of death-defying secret agents, intrepid archeologists, and double-dealing sheikhs makes for wonderful entertainment... A terrific book." "In addition to bringing to life a fascinating episode in early 20th-century history, The Berlin-Baghdad Express contains several timely lessons and cautionary tales. Purchased loyalty is worthless. Western countries may possess superior military force, but they are outwitted time and again by diplomacy as practiced by Muslim leaders. Lastly, there is no such thing as global Islamic solidarity—jihad is an expedient, not a belief system." "Germany saw the ambitious Berlin-to-Baghdad railway as a powerful tool to win World War I. But the doomed project wasn't completed until 1940. The railway debacle provides a colorful backdrop for historian McMeekin's look at the Great War from the German-Turk perspective; as a cast of ruthless characters illustrate Germany's attempt to topple what was then the largest Middle East power: the British Empire." "Sean McMeekin shows how the ambitious plan to build a railroad from Central Europe to Mesopotamia was the key to some of the most crucial episodes in the First World War, including the Armenian genocide and the Arab Revolt." "The Berlin Baghdad Express is a refreshing kind of military history that approaches World War I from a truly fresh angle. The Ottoman focus certainly makes this a singular and highly original book but, more significant is McMeekin's interest in the workings of empire during the war. As he demonstrates here, the imperial concerns of all of the European powers played a bigger part in the war than is often acknowledged." "All the more brilliant is Sean McMeekin's telling of this complex tale in The Berlin-Baghdad Express. He recounts the convolutions and involutions of detail, the ambiguities and equivocalities of intention, the necessities and urgencies of dangerous international entanglements, with remarkable clarity. His ostensible subject is the building of a railway from Berlin to Baghdad in the years before and during the First World War, a railway conceived by Kaiser Wilhelm of Germany as an artery along which the lifeblood of a new and mighty German empire would flow. Instead, one of its immediate consequences was the copious shedding of the more ordinary sort of blood. As if the faltering line of that railway were a thread, McMeekin strings along it a tale of intrigue, callous calculation, human misery, skullduggery, cheating, revolution, murder and war. The result is not only wondrously fascinating in itself, but, alas for the mess that the world is in today, painfully educative. Because of this angle of approach McMeekin brings a fresh perspective to the history of the Eastern Question, the Young Turk revolution, and Britain's demolition of the Ottoman Empire...The story is so complex and so richly told by McMeekin that no summary can do it justice: it needs to be read, and readers will mutter and shake their heads with wonder at every page...This is one of the essential books about the Middle East's labyrinthine recent history, perhaps the most telling case of how a knowledge of history is necessary to an understanding of the present. 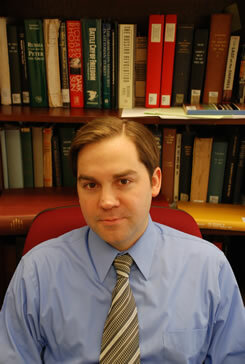 And that fact makes one wish that McMeekin had written his book a decade or more earlier." "In a fascinating, must-read for anyone interested--or more importantly, engaged--in Western policy-making in the Middle East, Sean McMeekin's new book, The Berlin-Baghdad Express: The Ottoman Empire and Germany's Bid for World Power, takes us on a tour of one of modernity's grand follies: the attempt by Imperial Germany to establish an "anti-Orientalist" empire in the Middle East through an alliance with the Ottoman Empire. The goal was to create a strategic, economic and military force that could challenge if not destroy the British Empire, then its main rival for global dominance...The parallels between Imperial Germany and Imperial America--both in overextending wars to enhance their position versus powerful rivals--are as informative as they are troubling. Americans would do well to consider how Germany came out of its first world war: bitter, battered and primed for fascism." "Sean McMeekin's account possesses the large merit that it tells a story little known to Western readers, drawing extensively upon German sources. It depicts a splendid cast of characters heroic in their endeavors if absurd in their lack of accomplishments." "This is the story of Germany's plans to bring the Ottomans into World War I and then to play the jihad card against the Allies, which held most of the Muslim world in colonial thrall. It is good, old-fashioned history as biography. Kaiser Wilhelm II, the mercurial archaeologist Max von Oppenheim, and "the Three Pashas," Cemal, Enver, and Talat, loom large. But many others--friends, foes, and would-be Muslim recruits to jihad--are also well delineated. In telling the story of the Central Powers' less-than-successful recruitment of locals, from Libya to Arabia to Afghanistan, McMeekin demonstrates the fragility of this jihadist dream. And his accounts of the victory over the Allies at Gallipoli and the failure to complete the Berlin-Baghdad rail line nail down the greater importance of military skill and geopolitical givens in determining outcomes." "Sean McMeekin is a professional historian with a deft popular touch...[This is an] engrossing and enlightening narrative."